One would be hard-pressed to identify too many things more clearly antithetical to Wilderness than man-made buildings. As defined by the Wilderness Act, “[a] wilderness, in contrast with those areas where man and his own works dominate the landscape, is [...] an area where the earth and its community of life are untrammeled by man, where man himself is a visitor who does not remain.” A wilderness is a landscape “retaining its primeval character and influence, without permanent improvements or human habitation” and which “generally appears to have been affected primarily by the forces of nature, with the imprint of man’s work substantially unnoticeable.” This is why the Wilderness Act expressly prohibits structures unless a very narrow exception is met where a structure is necessary—essential—for the Park Service to administer the Wilderness. 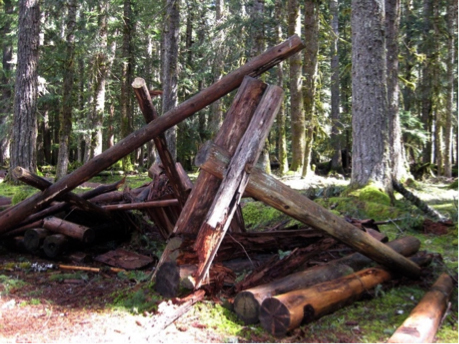 The National Park Service (NPS) is no stranger to controversy regarding its structure rehabilitation activities within Wilderness, particularly in the Olympic Wilderness which one Park Service staffer described as “a crime scene of sorts.” In 2005, a U.S. District Court declared that the Park Service violated the Wilderness Act and the National Environmental Policy Act when it reconstructed two collapsed shelters in the Olympic Wilderness. The Court stated that “[w]hile former structures may have been found to have met the requirements for historic preservation, that conclusion is one that is applied to a man-made structure in the context of the history of their original construction and use in the Olympic National Park. Once the Olympic Wilderness was designated, a different perspective on the land is required.” Other Federal Courts have held the same opinion. 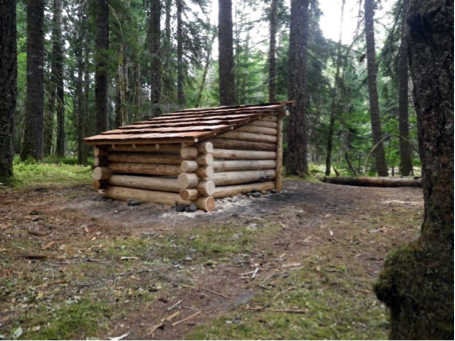 Given these unequivocal holdings, a Wilderness Watch Board member backpacking in the Olympic Wilderness was surprised to stumble upon a Park Service crew reconstructing yet another building in the fall of 2012. That discovery prompted WW to investigate, and what we unearthed was a broad-scale effort by the Park Service to rehabilitate and reconstruct multiple degraded structures in the Wilderness without any public notice and in direct violation of the Wilderness Act. Wilderness Watch filed suit in Federal District Court on October 27, 2015 to stop this illegal practice and to force the agency, once again, to comply with the Wilderness Act and the National Environmental Policy Act. We hoped this time around the NPS will heed the multiple court opinions finding its actions illegal, and will undertake a comprehensive reassessment of its obligations under the Wilderness Act to preserve wilderness character and under the National Environmental Policy Act to inform the public of its actions. Unfortunately, in a marked departure from prior caselaw, the judge deciding Wilderness Watch’s suit deferred to the Park Service’s decision to rebuild these structures. Although the Park Service itself admitted that it had not determined the structures were necessary (a required finding to overcome the Wilderness Act’s prohibition on structures), the judge found that rebuilding the structures was “inherently necessary,” stating in oral argument that the inspirational value of encountering a trail-side shelter was on par with encountering the famed Chinese Wall, a 1,000-ft high, 22-mile long escarpment, in the Bob Marshall Wilderness. Wilderness Watch appealed to the Ninth Circuit where we argued to a three-judge panel that the values Congress sought to protect under the Wilderness Act are different than the values protected outside of Wilderness—that, in Wilderness, allowing the land to reclaim its wild, undeveloped character is more valuable than perpetuating the work of man. UPDATE, Fall 2018: In a short, unpublished opinion, the Ninth Circuit upheld the Park Service’s decisions to reconstruct five buildings in the Olympic Wilderness under the guise of historic preservation. All of the buildings had either collapsed or suffered extensive deterioration from the effects of time, weather, and fallen trees. Notwithstanding their condition, the Park Service nominated the buildings for listing on the Historic Register and then rebuilt them in the Wilderness. In court, the Park Service argued that the Wilderness Act contemplates various public uses of wilderness, including “historical use,” which means the agency can rebuild old structures it deems historic, regardless of the Act’s specific prohibition against structures. We argued that, just as the Act limits “recreational use” to non-motorized and non-mechanized forms of recreation, the Act contemplates only those historical uses compatible with the preservation of wilderness, and the Park Service’s actions were in violation of the Act’s clear prohibition on structures. Unfortunately, the Ninth Circuit felt bound by a prior decision finding other terms within the Wilderness Act ambiguous and therefore deferred to the Park Service’s interpretation. 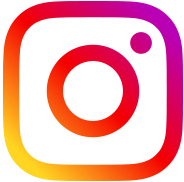 The decision produces a bizarre result where the perpetuation of buildings is construed as a goal of the Wilderness Act—a statute that defines wilderness as undeveloped land without permanent improvements and specifically prohibits structures. It also produces a direct conflict with the Eleventh Circuit, which held, “Congress ha[s] spoken clearly and unambiguously in the Wilderness Act, obviating any need for deference to the Park Service’s construction of the statute,” and that the Act’s reference to “historical use” clearly does not contemplate the historical preservation of buildings. We will be looking for opportunities to clarify the law and ensure both the preservation of wilderness and the integrity of the Wilderness Act.